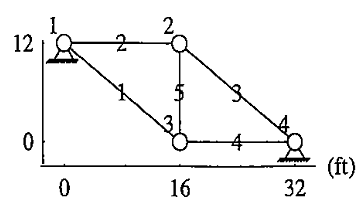 This MATLAB code is for two-dimensional truss elements (plane truss structures). This code plots the initial configuration and deformed configuration of the structure as well as the forces on each element. 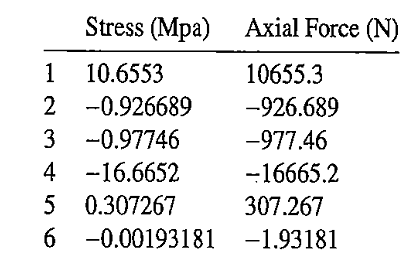 Results are verified with examples of textbook; arbitrary input geometry, nodal loads, and material properties for each element can be defined by user. 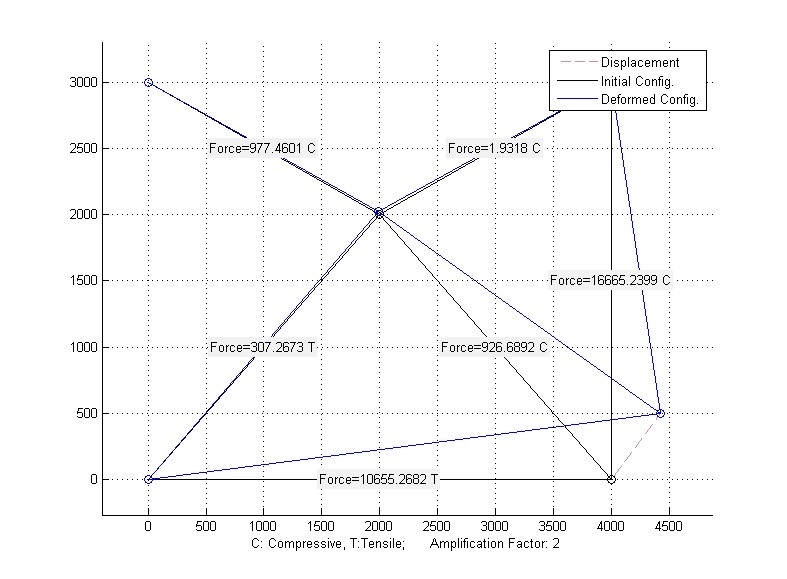 Below is a higher resolution figure of the results including the initial configuration, deformed configuration, displacement vectors, and internal forces of each element (C stands for Compressive; T for Tensile). You can also choose an "amplification factor" which lets you magnify the real displacement values (on the graph only) for the sake of better visualization.